Root & Sky is an online retailer who has a line of gem essences which are hand created, infusing each bottle with a blend of crystals designed to harness their vibrational charge and enjoy the benefits of their support -- an intuitive boost in a bottle, and easy to use as part of a morning routine or magic ritual. 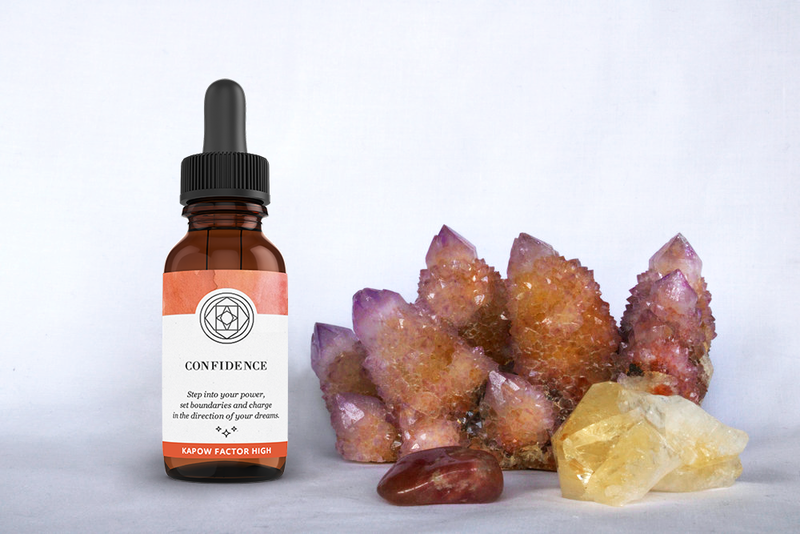 Gem essences are handcrafted, and are designed to give practical support in everyday life. I didn't design the Root & Sky current website, but I created this teaser website mockup during our branding process so the client could get a good grasp of what how the brand elements could look and interact with one another on her website. I loved this little piece and wanted to showcase it as part of our process together, even if it is just a partial home page. This mockup is based off the Brine Squarespace template.